Want to go off the beaten track? 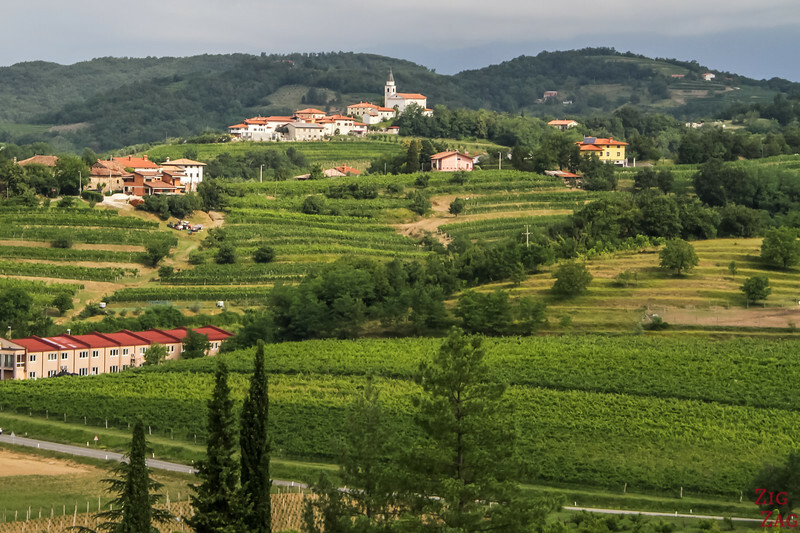 Discover the stunning region of Brda Slovenia with rolling hills, vineyards, charming old villages such as Smartno, the Dobrovo Castle and scenic views all around. 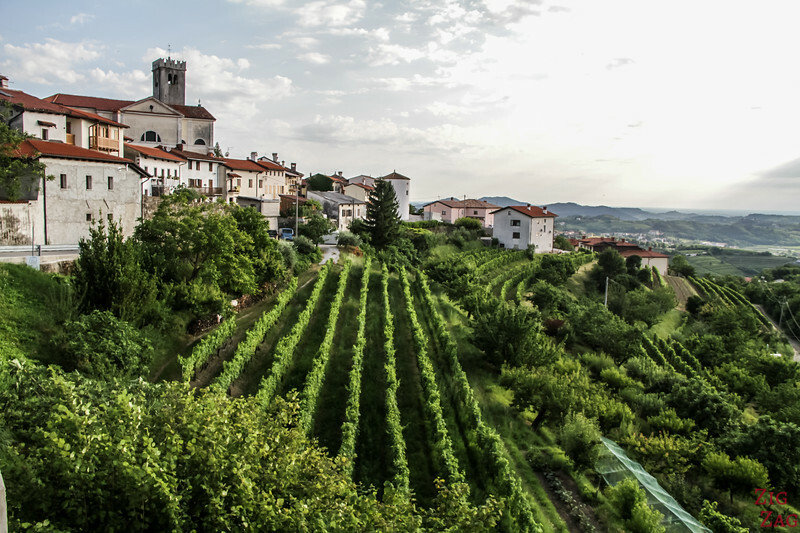 Sometimes called the Tuscany of Slovenia, tt is a great place to relax and enjoy wine tourism. 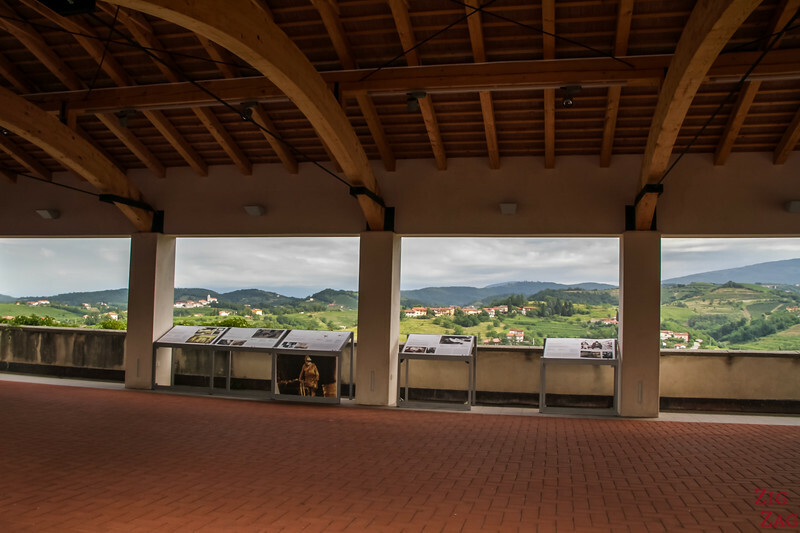 Below is my guide to help you plan your visit to the Brda region. 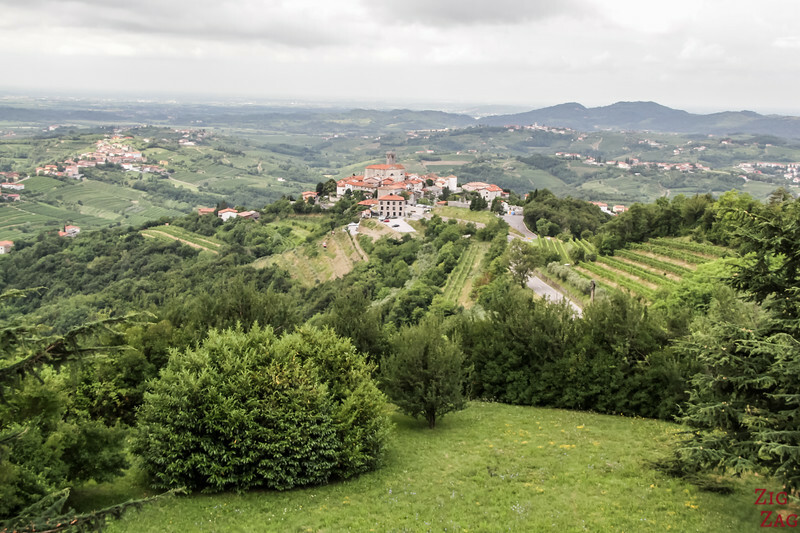 Why visit the Brda Region in Slovenia? 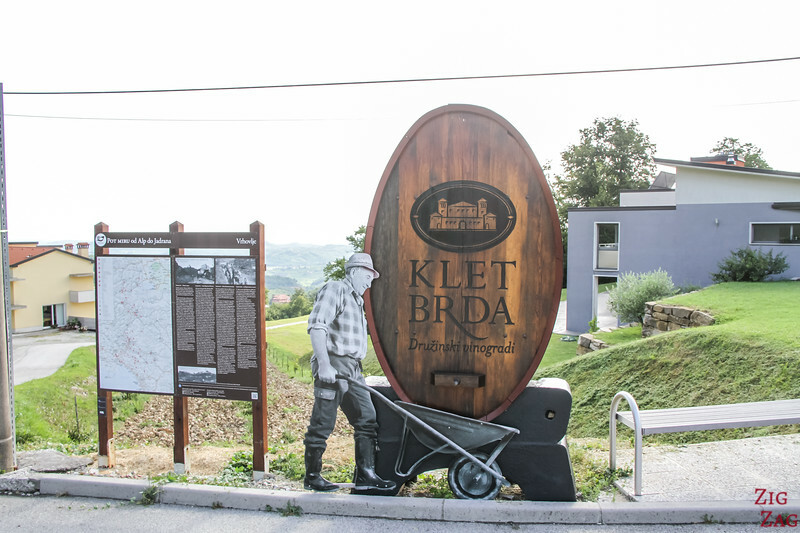 Where is Brda Slovenia ? 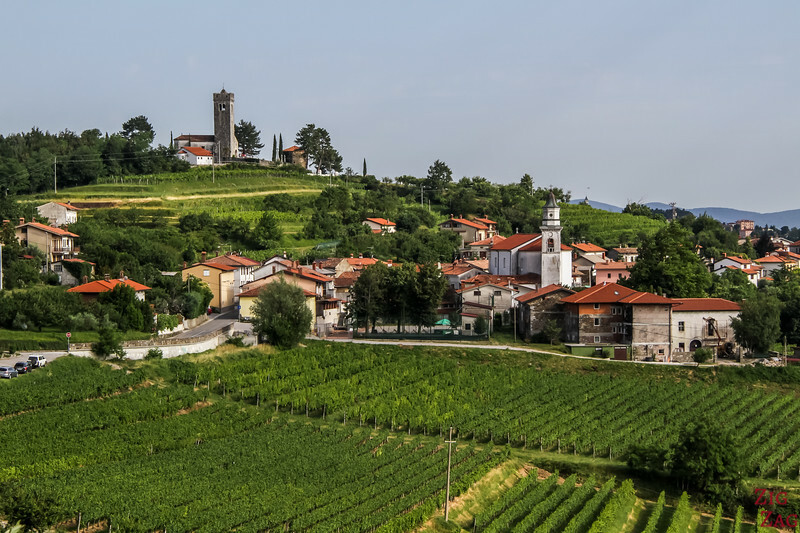 Brda is a perfect mixture of rolling hills, trees, lines of vines and old villages (with the bonus of not having too many tourists). 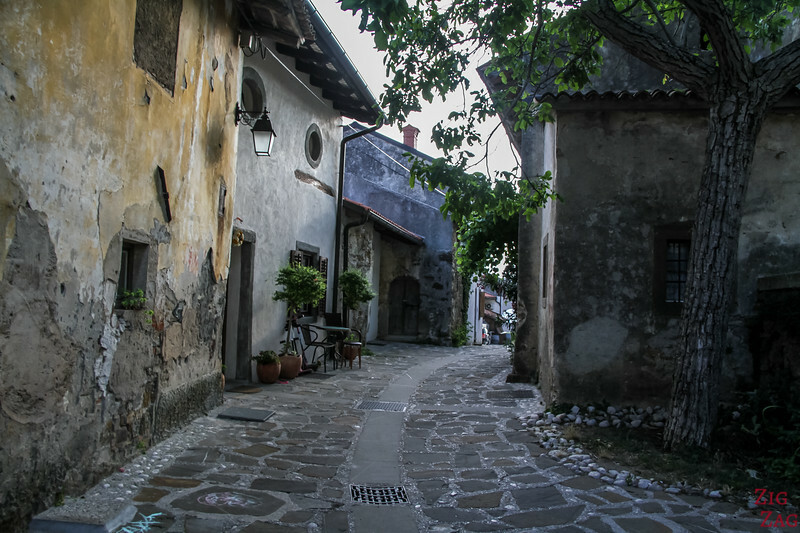 It is often overlooked compared to other regions of Slovenia (or its top attractions), but it is absolutely charming. We had a great time there (although too short, as always...). 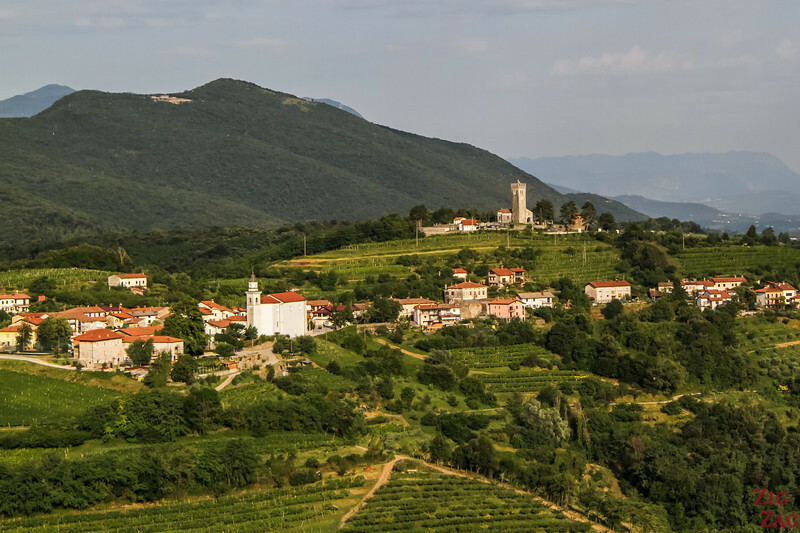 Where is Goriska Brda Slovenia ? 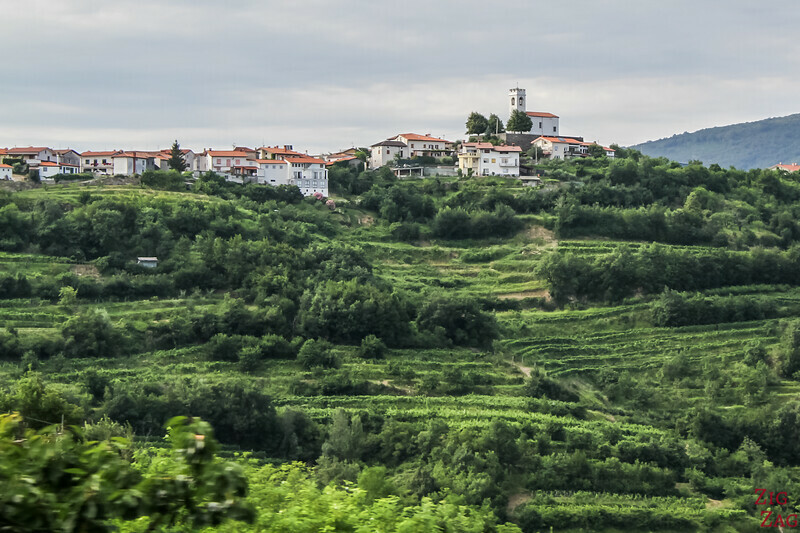 Officially Brda is a municipality located in the West of Slovenia, South of the Julian Alps. It is a little corner, limited in the North by the Soca River and in the South by the border with Italy. 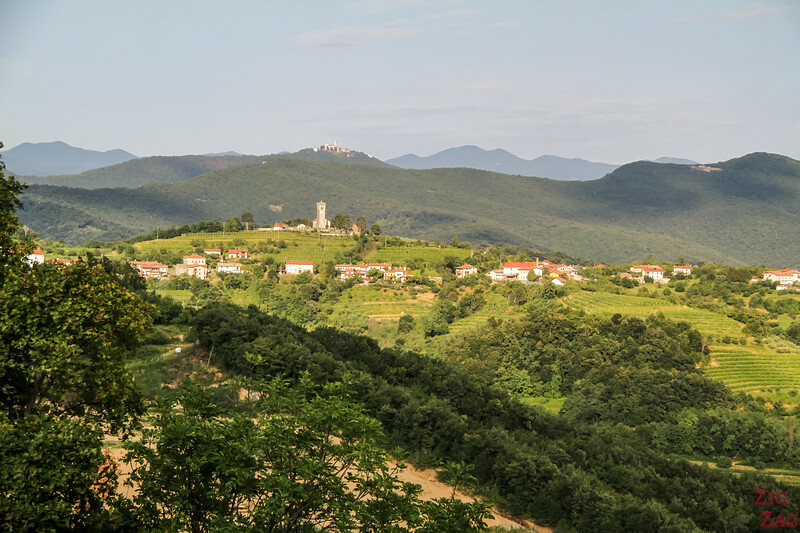 The best sites in the Brda region, along with many other beautiful places, are included in my eBook: The Road Trip Guide-Slovenia. You can either come from the mountains along the Soca River and drive from the South border, crossing into Italy before driving back into Slovenia. How long? I recommend to stay at least 2 days to enjoy the region but 1 afternoon and 1 morning wold already be great if your itinerary is tight. I recommend a night there to admire the sunset on the hills and vineyards. 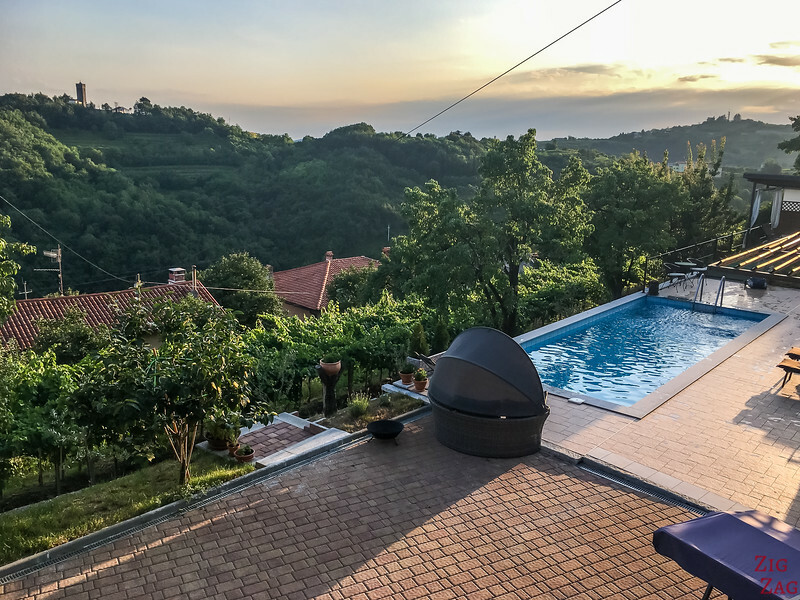 Or check out more accommodation options in the Brda region. et's start out journey at Dobrovo Slovenia. 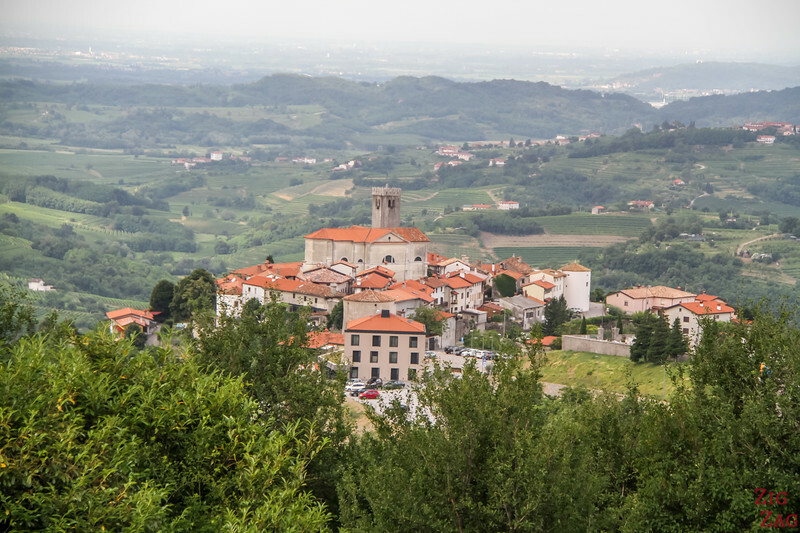 It is the main town in the Brda region and close to the border with Italy. Here you can find all the main shops and a supermarket. Above the town is the Dobrovo Castle. 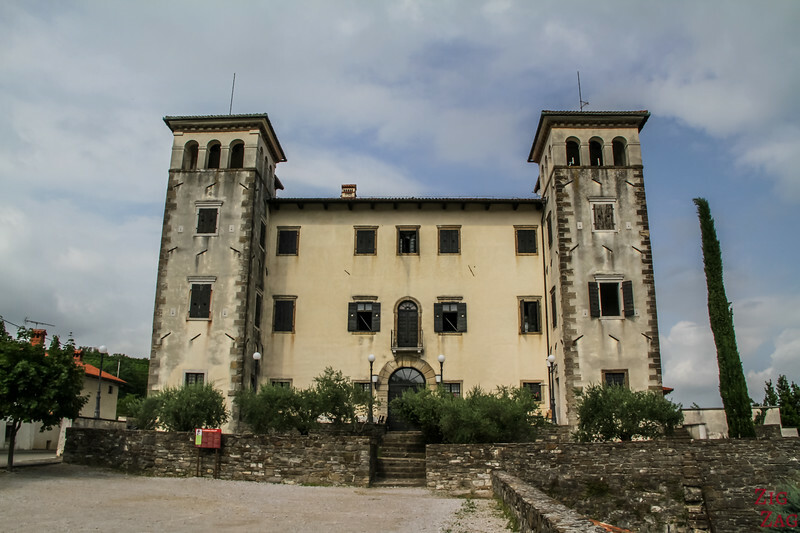 The square Renaissance style Castle was built in the 17th century on the ruins of an old castle. It is very symmetrical with square towers at each corner. One of them was turned into a chapel. 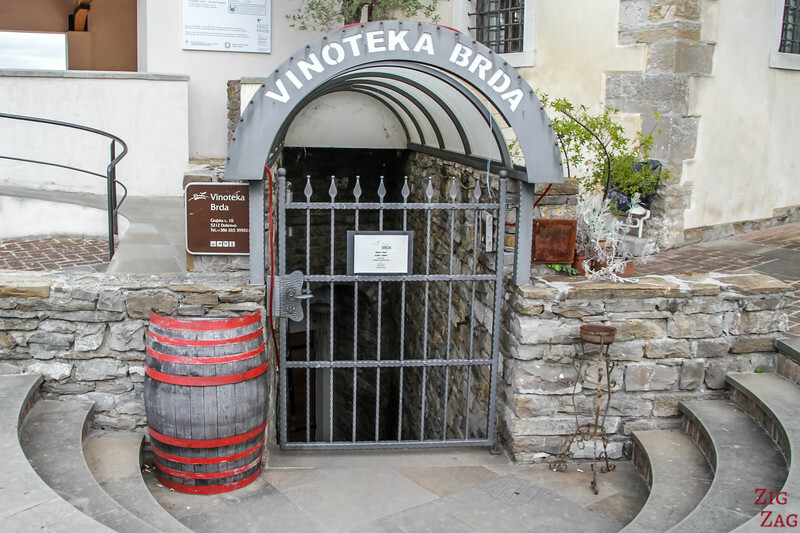 One of the main attraction at the castle is the Vinoteka, the largest cooperative cellar in Slovenia. There you can taste and purchase wines in a nice setting. Just outside the castle of Dobrovo is a covered area with nice views of the region. 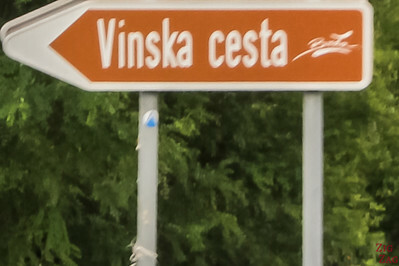 Many board signs display photos and information about the traditional crafts and trades in the region. I have found it quite interesting but it would have been better to see that is a museum with old pieces of equipment. 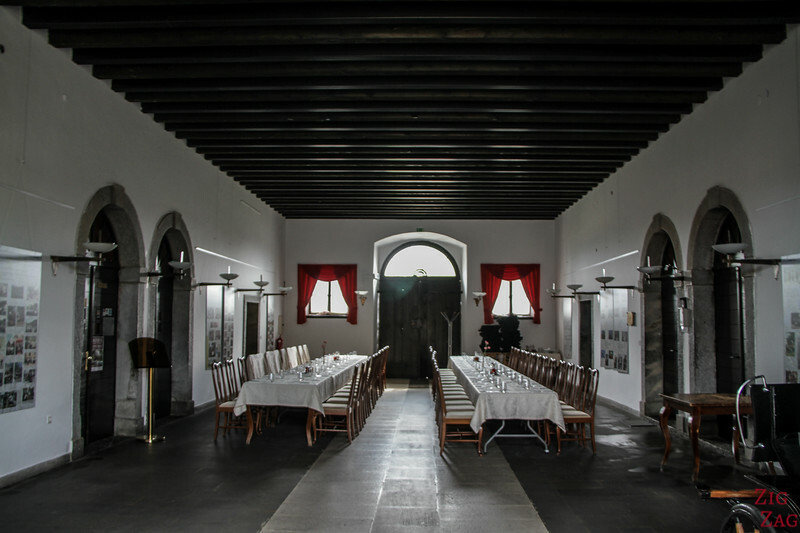 Inside the Dobrovo castle you can visit the Hall of Knights, the Hunter's room and other rooms with a lot of paintings. On the ground floor is the restaurant. 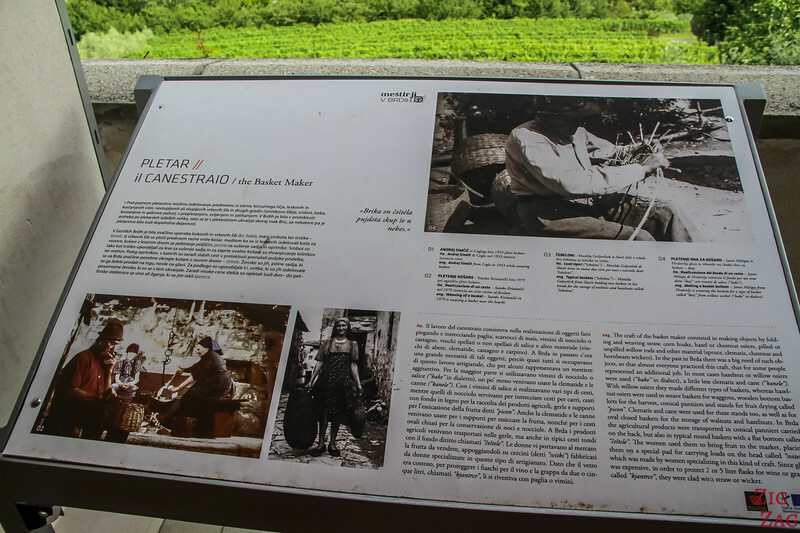 The main touristic interest of the region is of course the vineyards and wineries. Or you can just drive around and admire the mix of trees and vineyards and old villages. The hilly landscapes are perfect to grow grapes. 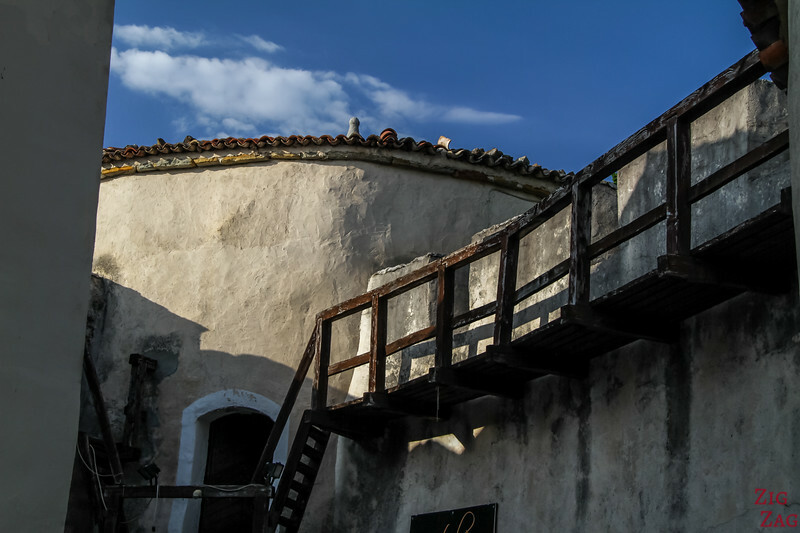 Another great attraction is the fortified village of Smartno in the middle of the region, and a cultural monument because of its historical value. Below you can see the whole village. Picture taken from the Gonjace tower (that I will introduce in the next section). You can see it from many part fo the region because of its location. And the pet Fradnik has compared it with an eagle's nest. See how charming it looks? 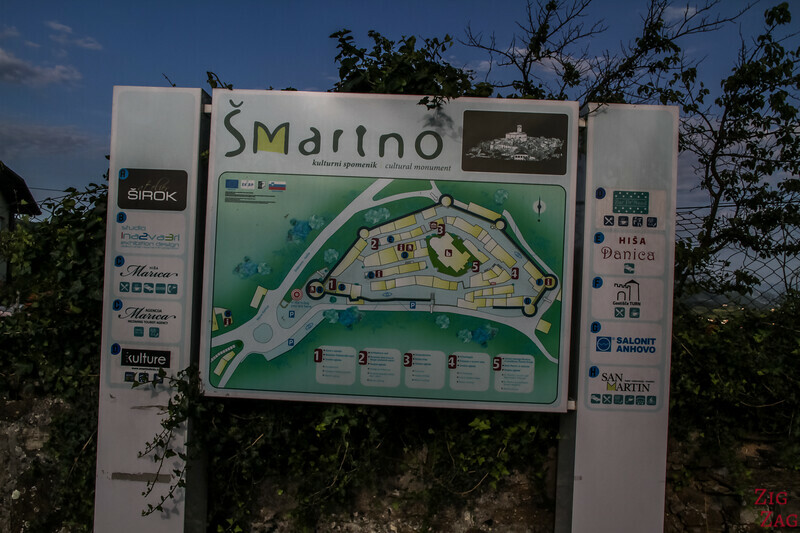 When approaching Smartno there is carpark right by the entrance. And you can find a maps with the fortification plan. 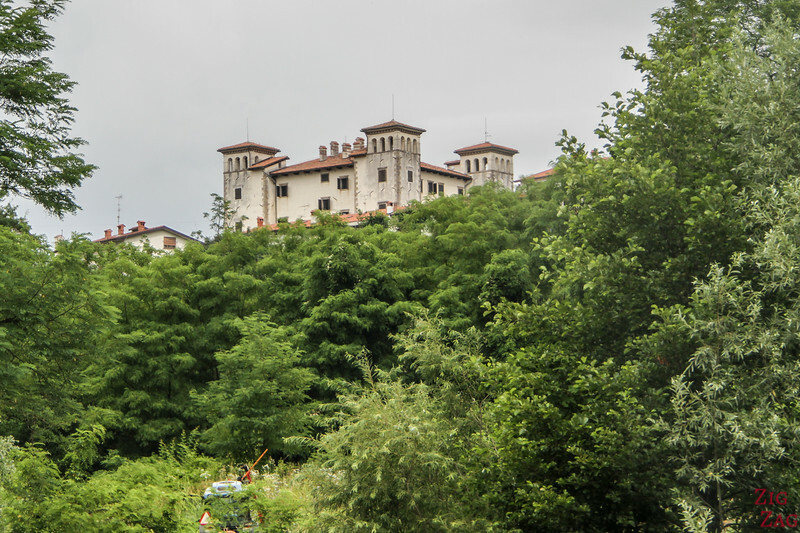 It is believed that the walls were erected on the remains of a Roman bastion during the war between the Habsburgs and the Venetians in the 16th century. It was a very strategic points on the Border between Venice and Austria. It was actually part of a system of fortifications throughout the region, which had been used until the middle of the 18th century. Roman ruins have been found under the current fortress. 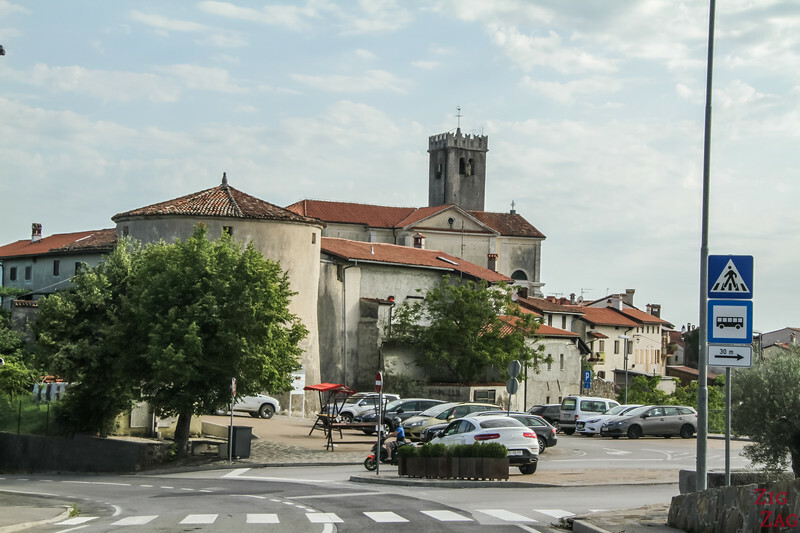 A the moment, the village of Smartno Slovenia is free to enter. 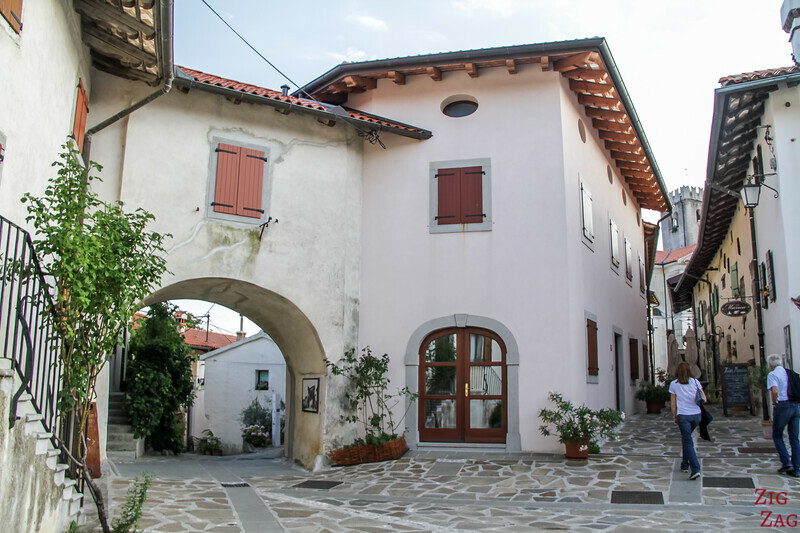 The modern and old houses inside Šmartno are grouped closely in a labyrinth around the church of St. Martin. The Gothic house can even be visited. It has typical elements of the region to see how people used to live. 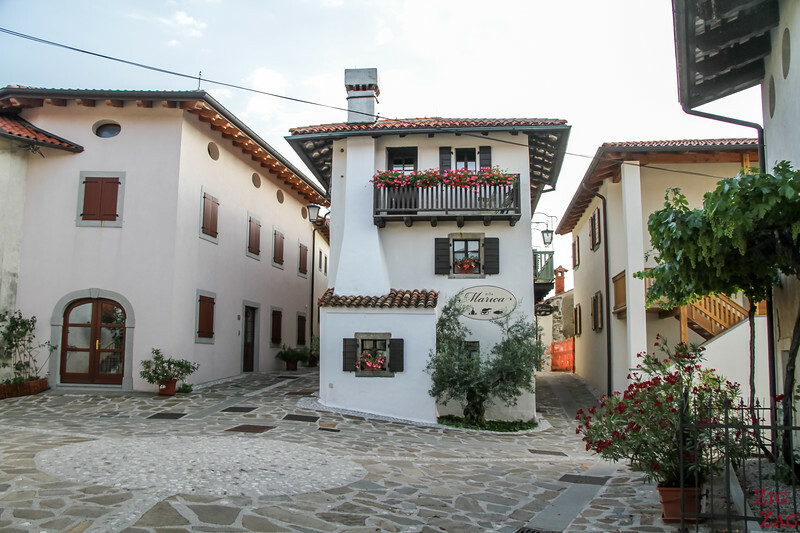 Smartno is a village that welcomes artist who enjoy the peaceful environment. Sadly I was not able to visit the church which was closed. Saint Martin is a baroque church with vibrant fresco and a bell tower which was once a fortification tower. 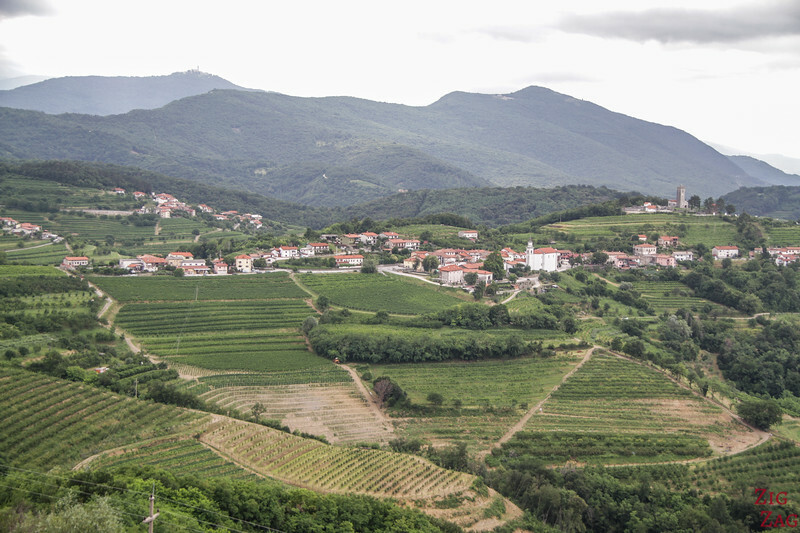 Another great thing at Smartno are the views all around with other villages and vineyards. Colors are wonderful in the end of the afternoon. I really love when I can get as high as possible to see a town or a region from above (without actually flying). 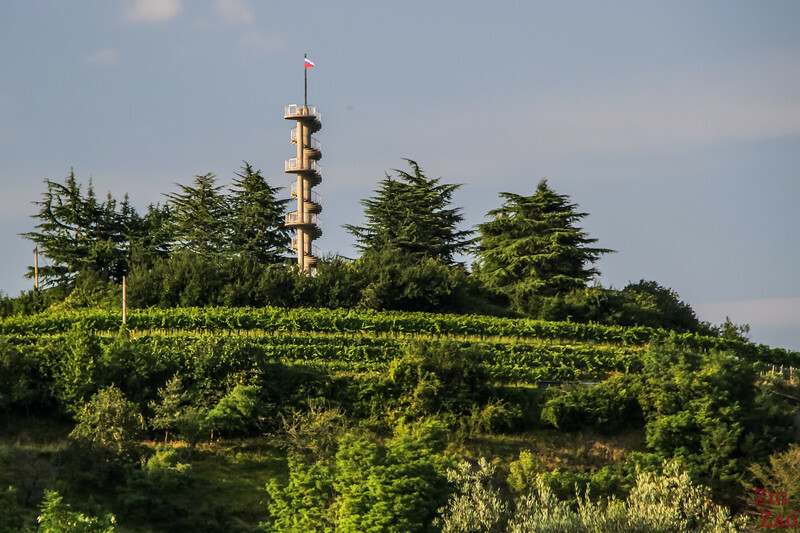 Luckily, in Gorisk Brda, they have built the Gonjace Tower. 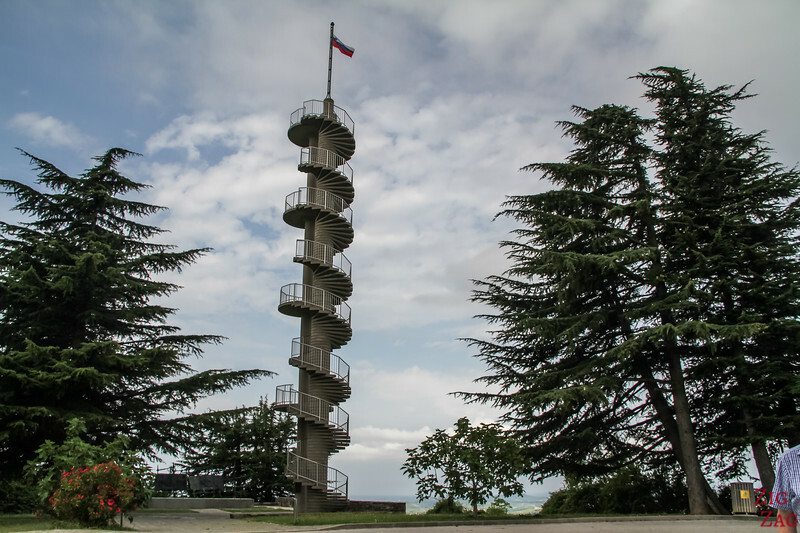 The Gonjace lookout tower is actually a memorial monument built in 1961, dedicated to the victims of World War II. It is a 23m high tower with 144 steps leading to 4 viewing platforms depending on how much you suffer from vertigo (or are scared because of the wind). But if you climb to the top there is an orientation table. From the Gonjace Tower you have 360° views of the region. It is splendid. One of the best views is towards the village or Smartno. 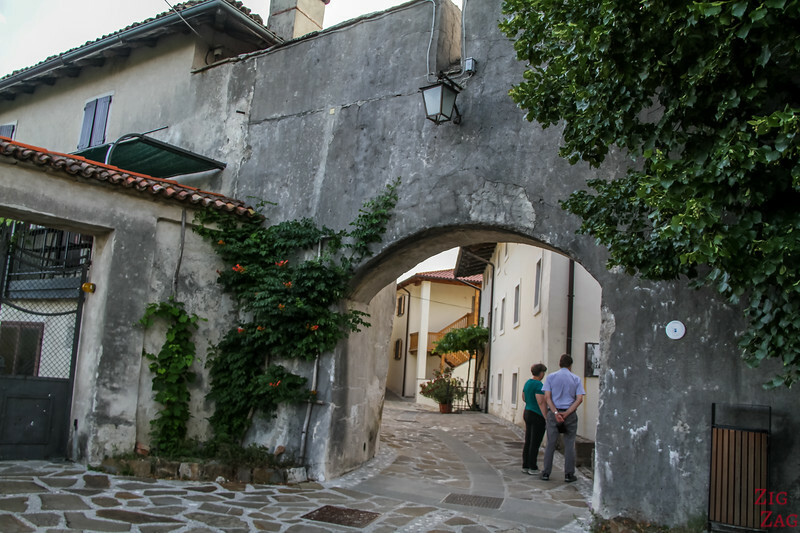 But just take the time to drive around, explore smaller road and admire the various small villages and vineyards. There is also another castle / Mansion (Vilpoze) and some natural features, but after research I decided not to include them in my itinerary and to move on to another region.